A true classic - Essential! Includes all the hits like "Crazy"and "Smiley Faces"
Gnarls Barkley - Crazy from Motion Graphic. on Vimeo. 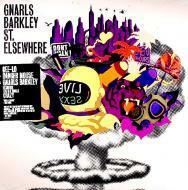 Gnarls Barkley “Smiley Faces” from Blind, Inc. on Vimeo.